If you decide to take royal jelly supplements, there are a couple things to look for before buying any particular product. First of all, it should be standardized to contain a minimum 5% 10-HDA (10-Hydroxy-2 Decenoic Acid), the substance believed to be the essence of royal jelly, and the factor responsible for the queen bee's size and fertility. 1) In this form, the royal jelly has not been dried or processed in any way and has been handled minimally, preserving the vitality of the product. However, a fresh, raw royal jelly must be kept cooled at all times. This poses problems for shipping. Only buy a fresh, frozen royal jelly supplement that is shipped with ice packs and thermal packaging to ensure it is kept cool. 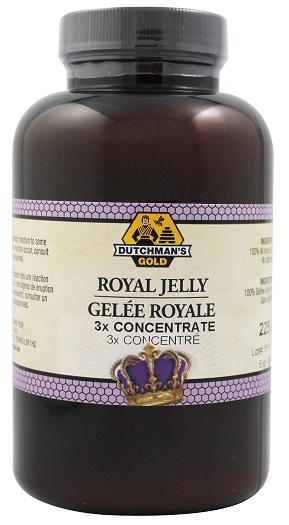 Keep in mind that this form of royal jelly is raw and has a strong taste. 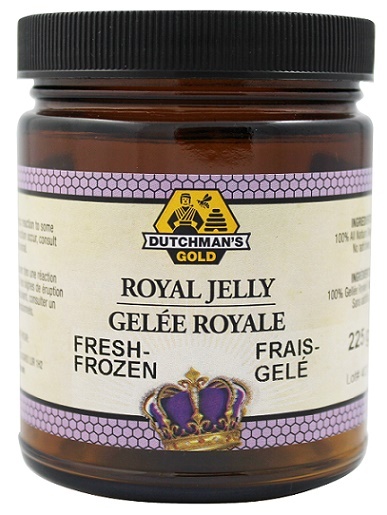 Most fresh frozen royal jelly on the market is from Asia. I recommend finding a North American source and paying the small premium if possible. 2) In a powdered royal jelly supplement, the main advantage is that much less care needs to be taken in handling and storing it. This provides much more convenience for you in that it doesn't need to be frozen or cooled at all times like the fresh, raw form listed above. Some manufacturers are able to concentrate their powder as well which means you have to take much less and it is the most economical form available. I recommend a powdered royal jelly for most people. The downside of a powdered product is that it has been dried. To do this, some level of heat needs to be applied to the royal jelly in order to remove all of the moisture. This may reduce the vitality of the product to some degree. Despite this, I have been able to obtain very good results with my clients using a quality powdered concentrate. 3) Encapsulated royal jelly tends to be the most expensive and least economical form available. Typically, a royal jelly capsule is simply a powdered royal jelly put into a capsule. What makes them less economical is the encapsulation process. It is more time consuming and as a result, more expensive. Capsules are the most convenient of all forms of royal jelly and can be traveled with quite easily. Furthermore, capsules allow you to avoid the rather strong taste that fresh and powdered royal jelly have.